Stilettos Diary: DIY - Brooch and Sneak Peek of Wardrobe Wednesday. DIY - Brooch and Sneak Peek of Wardrobe Wednesday. Finally I managed to put up a DIY Post. How to make a re-sizable ring into a fashionable brooch. Animal/ Insect design re-sizable ring. 1. Expand the rim of the re- sizable ring and make it flat. Flat enough to hoard the safety pin. (As shown in the photo above). 2. Using a glue gun stick the safety pin to the ring (there are chances the pin can fall off).Therefore, I welded the safety pin to the ring. You can also do the same. Any local welding shop will do it for 10Rs. 3. Paint the edges of the ring and the pin. Your brooch is ready to use:). Hope you liked the idea. I dint find a beetle but I liked this weird looking insect. It went perfectly with the outfit I am posting this week. How's the sneak peek of this week's post?? Let me introduce Muralidhara Nidwannaya. He is the new fashion photographer of Stilettos Diary. He is an amateur photographer who is very passionate about photography. 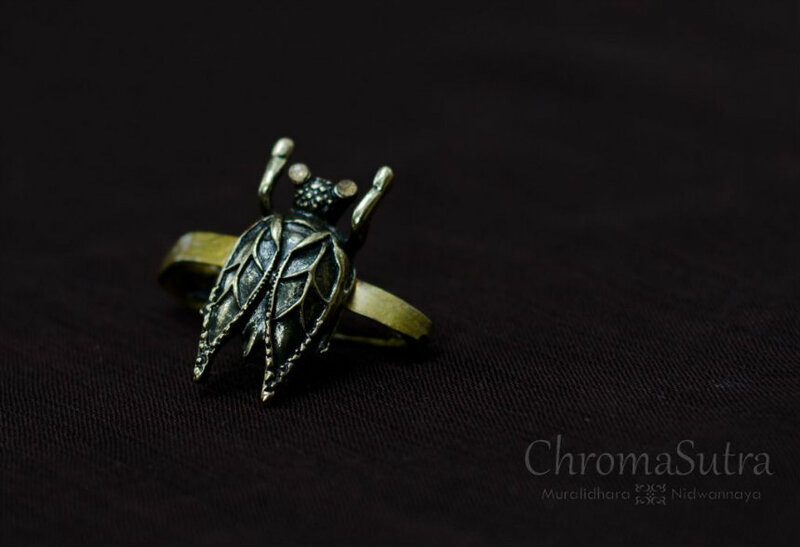 Do visit his Facebook page - ChromaSutra to check out few of his masterpieces. What a nice idea, Megha!!!! Do you think about a super glue or the E3000 can work well to stick metal on metal? This is a lovely brooch!! I love brooches, it looks beautiful. :) Hope you're having a nice weekend dear. i love it, great blog u have here. This is such a great idea!!! LOVE! his brooch is stunning ! 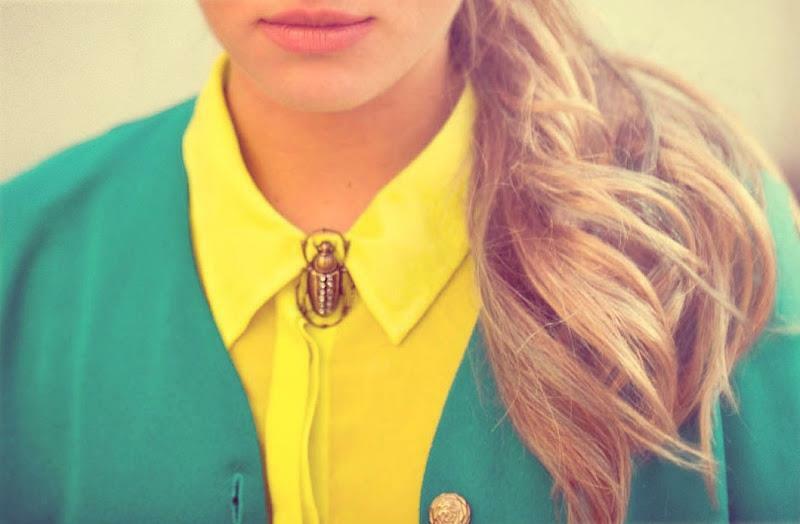 I love your insect design brooch ! love it! love how it's placed! This is a great DIY & so simple! Thanks for sharing.